Sometimes I realise I had the exact same paper as you five minutes ago, which I had thrown away for being so immensely boring, but now that you have it, every article is compelling; there’s no way I can survive the day without getting hold of another copy. But alas, it’s never quite as pleasing when it’s back in my humble hands. Bloody hell, what an opener! I was completely enthralled. The suspense was killing me. I made a note of title and author. It wasn’t til I got off the train, playing the line over and over in my head that I realised that as a teaser, it was dull in the extreme. Of all the lines in the entire book, was that really the one they thought would make us tear back the cover and devour its insides? But it had worked on me for a second. Because that’s how I feel about any writings I don’t have. The blurb on the back could have read anything else and I would have been just as intrigued. As I perused upsidedownwardly the Electronic Waste Recyclying Act in the hands of the lovely gentleman opposite, I thought about what strange force was taking over me, why I felt impelled to read everything except the thing in my own hands. But I was distracted by an incredible piece that my neighbour was reading about how the weather this year is somewhat the same as it has been but different depending on region. And besides, I can’t help but feel that pretty much anything on the metro is fair game. Your medical forms (they x-rayed what? ), your shopping list (margarine? really? ), your PowerPoint presentation (in Dutch). (I seem to understand Dutch on the metro.) You brought it on here, I’m gonna have a look. That’s why it’s called public transport. This is no place to be private. Admit you’re gonna be nose-to-nose and shoulder-to-shoulder, and turn the other cheek. And FYI, when I occasionally manage to maintain interest in my own reading matter like the proper adult person I am sometimes able to impersonate, I am most magnanimous with my material. 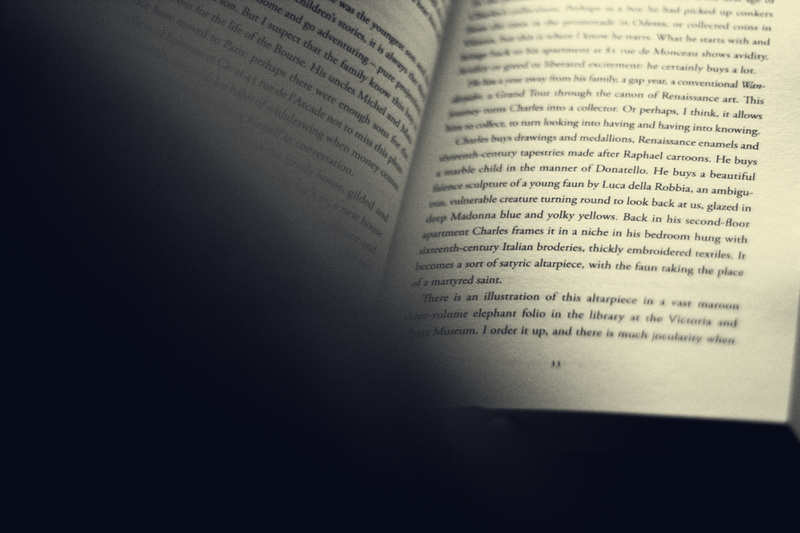 When I witness the familiar face-tilt from the corner of my eye, I will open the page wide so my neighbour can share. And at the risk of totally weirding you out I will wait for you to finish before I turn the page. I have even shared sweets and earphones with my metro neighbours to their surprise and (mostly) delight. So please don’t stress or tut. I truly intend you no harm. I’m your friendly, neighbourly over-the-shoulder-book-beholder. Could you just go back a page? Thanks x. This entry was posted on Wednesday, May 9th, 2012 at 21:57	and tagged with etiquette, metro, Reading, reading over someone's shoulder, rude, Shoulder, socially acceptable and posted in humor, J'aime. You can follow any responses to this entry through the RSS 2.0 feed. Me too….! Or am I just overwhelmingly nosey?! Well then, I suppose your definition of public transport means I can gas you, right? Are you comparing nosiness to arbitrary murder?